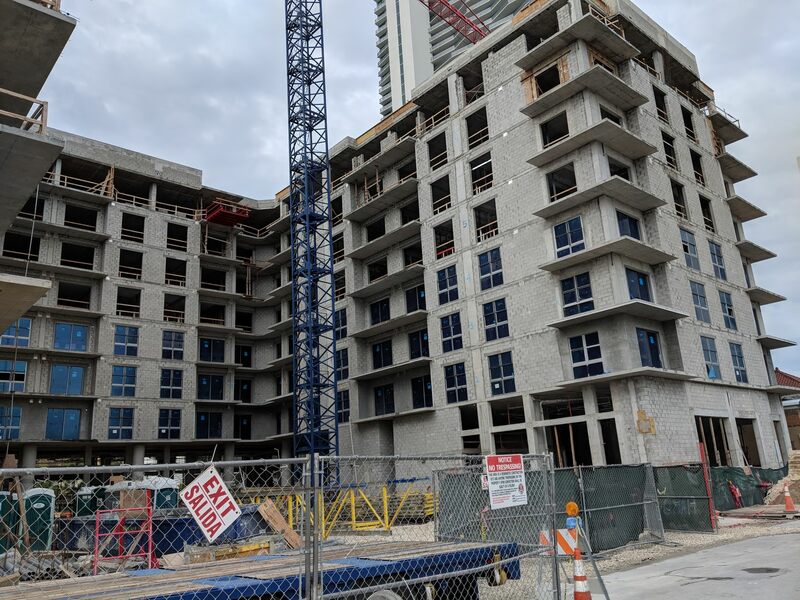 In Edgewater, Biscayne 27 is partly topped off and window installation is underway. 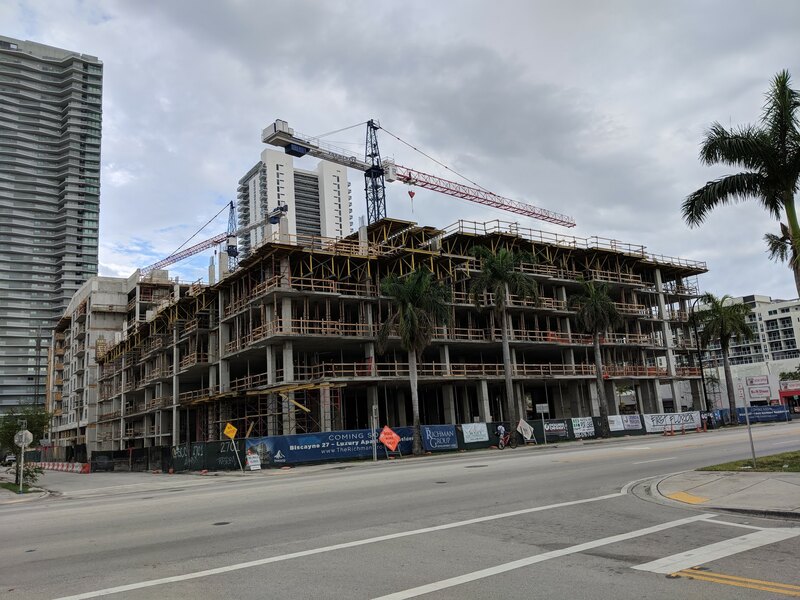 The eight-story project will include 330 rental apartments, replacing former plans for a taller condo project called Ion. 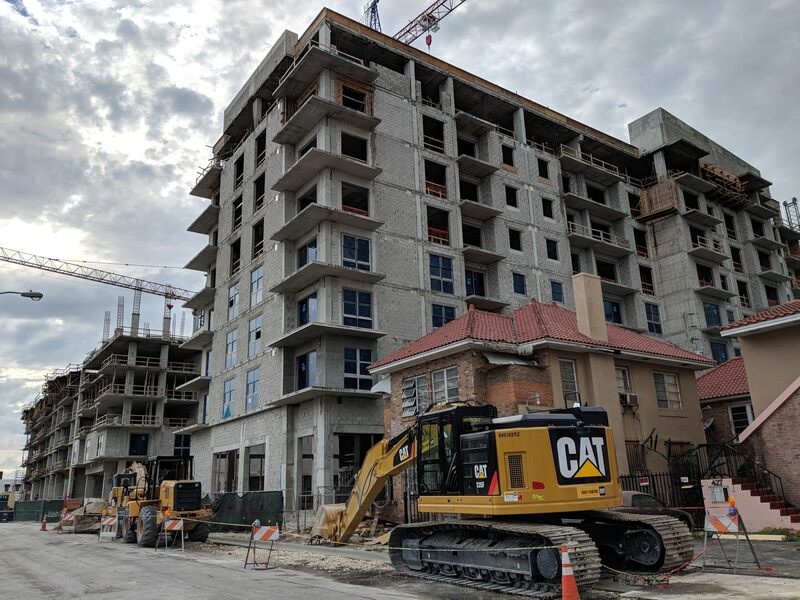 The Richman Group, one of the nation’s largest apartment owners, obtained a $58.6 million construction loan to fund construction, after paying $30m for the land. 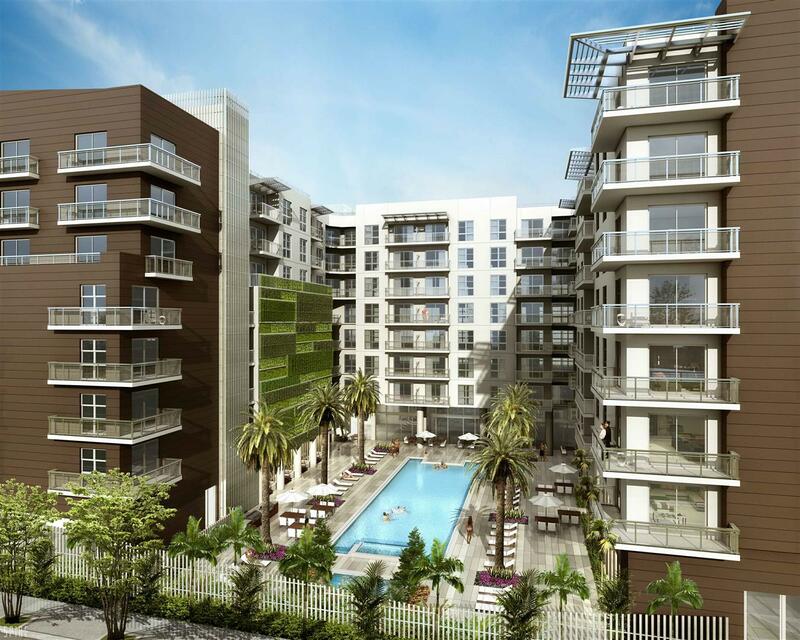 Great location…now extend the line through midtown!! Yes! Build the Coastal Link now. 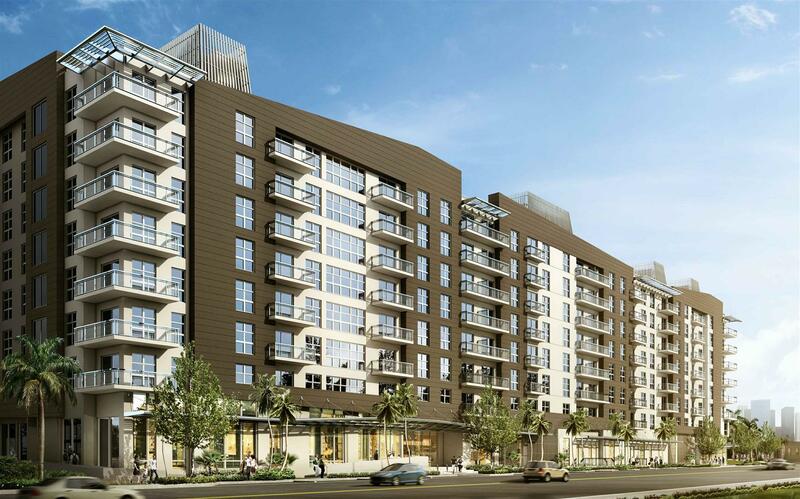 Simply a nice project for Biscayne/Edgewater neighborhood. Very walkable. looks great. Wish biscayne had some bike lanes so I can leave the car at home more often. AKA the building with the swimming pool that only gets 3h of sunlight. You mean, it’s going to be thirty degrees cooler in the shade? Think of the building as SPF 100 for the pool. 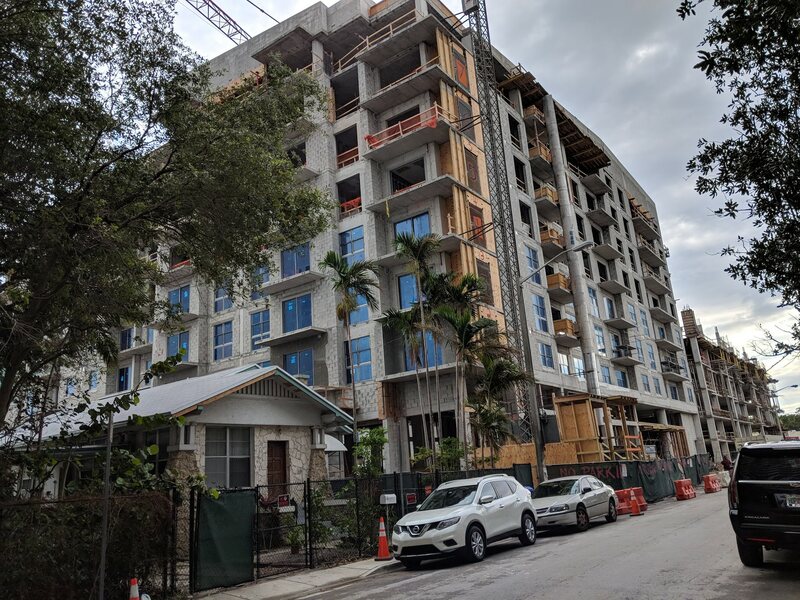 Sorry, but the brown elements in the facade just don’t fit Miami. So, you just totally overlooked the parts painted white? I would have preferred a lighter more “woody” color, almost like a bit of NorCal in Miami, but knowing rental buildings, it will be repainted in five years. Thankfully we’re seeing the whole poopy-brown “earth tones” trend from the last ten years die out, with a return to lighter, more pleasing, and diverse colors. A little brown helps to diversify. I could argue you have a valid point to a certain extent because of this project’s height and design…However, this development is aimed at millennials and young tenants which the area is need of… Not everything can be 1M+ 1Bed condos and 3k+ rents/mo for a 1-bedroom…..
Right…the type of design that will keep construction costs down and make building it worthwhile to the developer to make a profit..
Have you’ve seen what they’re currently building in sunrise ? It could blend in with brickell easily. 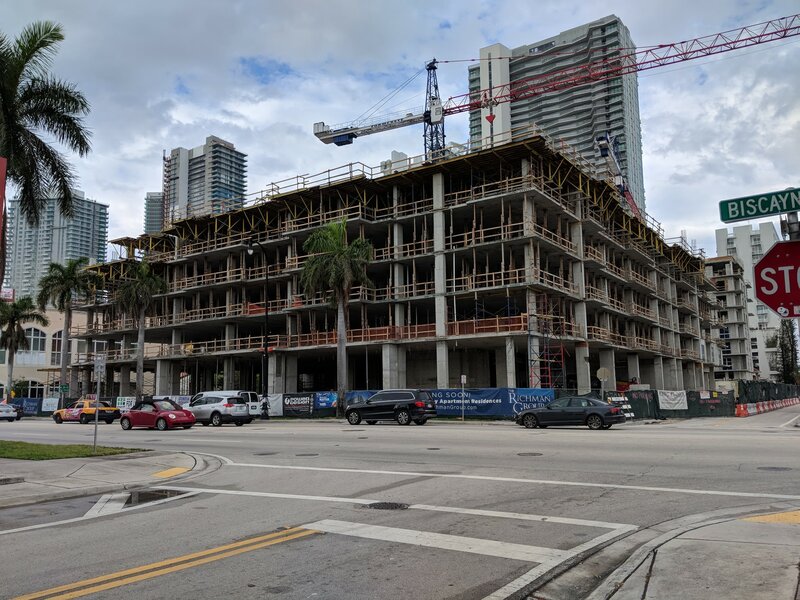 Yea, but you won’t be paying 30M alone in sunrise for the same footprint of land as this project, like you wont be getting the same $/SF on rents there like you will in Edgewater….. 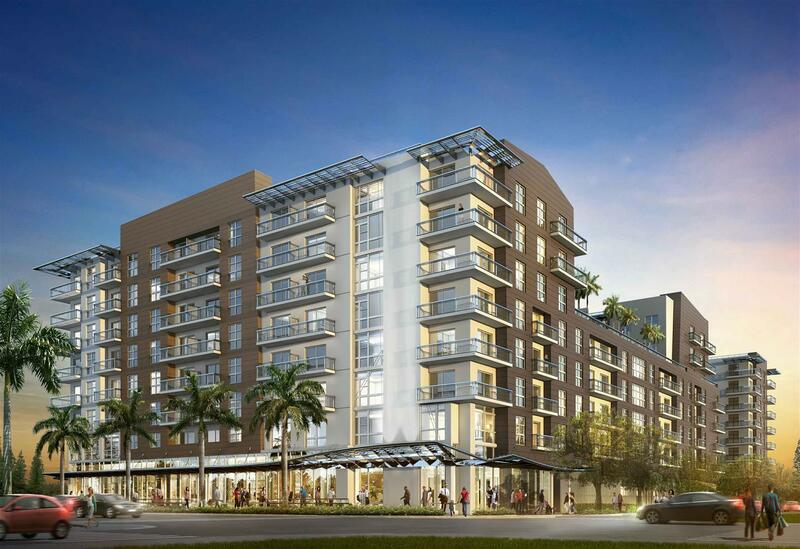 So could this, in West Brickell. Metropica would never have been proposed if it wasn’t for building an arena out in the middle of nowhere.